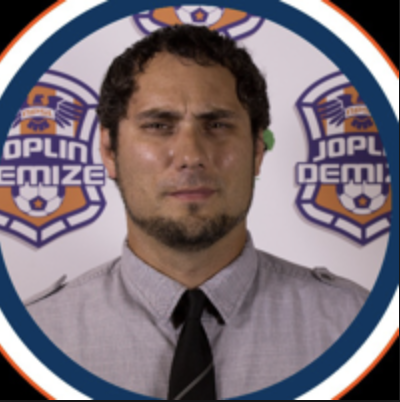 Hanlon currently is the Founder and Director of Coaching for the Springfield Demize Academy and the Director of Soccer Operations and Head Coach for the Demize National Premier Soccer League (NPSL) team and Demize Premier Arena Soccer League (PASL). He has also served in a variety of roles in coaching and the management side of the game, including time as a general manager and head coach for the Springfield Storm and Springfield Demize Premier Development League (PDL) teams and the Springfield Demize Premier Arena Soccer League (PASL) team. He also serves as the Co-Chairman for the NPSL Pro Combine Technical Commitee and as the South Central Conference Liason to the NPSL's executive board. In 2017 he was the South Region Coach and General Manager at the rebradned NPSL Player Showcase. Brianna Hilton was born and raised in Springfield, MO and has been a coach for Springfield Demize for 4 years coaching girls ranging from 8-13 in age. In the winter of 2017 she coached the U11 girls to an undefeated season in the Kansas City Futsal league and lead both U11 and U12 girls to become champions of the 2016 Sport Shake Fall Classic Tournament. 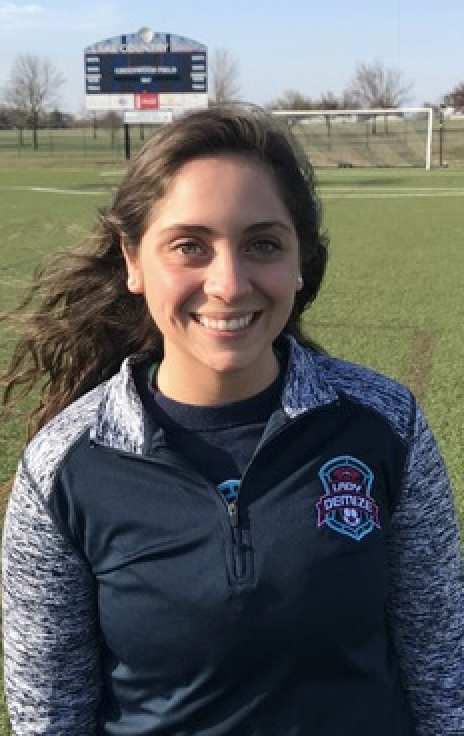 Brianna has helped develop the youth of the Lady Demize program by being a strong female role model for the girls to look up to in the soccer community. Brianna started playing soccer when she was 3 years of age and has not stopped since. She played club soccer with Springfield Soccer club where she was awarded a team MVP until she was 17 years old. Brianna started playing for Demize in 2012 when she was a junior in high school and has been a part of the Demize family ever since. While playing for Demize, she was considered to be an outstanding part of the defense and she was thought of highly by her teammates. Her team also attended The US Futsal Nationals. She played soccer for Kickapoo High School in Springfield, MO where she was a varsity defender her entire high school career. This included her lettering 3 times, earning Defensive MVP twice, awarded Star Defender her junior year, and she was named an All-Ozark Conference Defender for 2013. And in 2014 she was named to both All-District and All-Conference teams as a defensive back. In addition to those awards, she also maintained a very strong work ethic by being named to the All-Academic teams as well. With many schools looking at her for playing for their colleges, Brianna turned all offers down in order to focus on attaining her dream of becoming a nurse. Even though she chose not to accpet a collegiate scholarhsip to play college soccer she did become a memeber of the Missouri State Women's Club soccer team. There is no aspect of the game she is not involved in. Brianna started refereeing soccer in 2010 at a very young age. She has since won Female Youth Referee of the Year in 2014 as well as refereeing for the Olympic Developmental Program. Brianna was accepted early to referee in the High School Chapter, meaning she referees high school in the Southwest Missouri Region. And more recently has been invited into the College Chapter and now can referee Colleges in the Southwest Missouri Region. Tim is a native of Springfield, MO and began playing soccer in Southwest Missouri at a very young age. His club team played locally, but also travelled to play in various competitive tournaments across the state. In High School at Hillcrest, he was a three year Varsity letterman. During his senior year in 1996, Hillcrest, made history, advancing into Districts further than any team before. Tim is still playing and has played in various leagues in and around Springfield and most recently was part of a team that finished 1st multiple times in the ultra competitive “Over 30’s” league. As a parent, Tim wanted to see his daughters receive proper training as early as possible. He started coaching their teams when they were 3 years old, Tim spent the next couple years as a volunteer coach developing his daughters and other players and keeping their team competitive. During this time the team won or placed in multiple 3v3 tournaments. Many of those players went on to play important roles on various club teams. After multiple years of coaching his independent team, he folded the core group of players that remained on his team into the Lady Demize Soccer Academy. 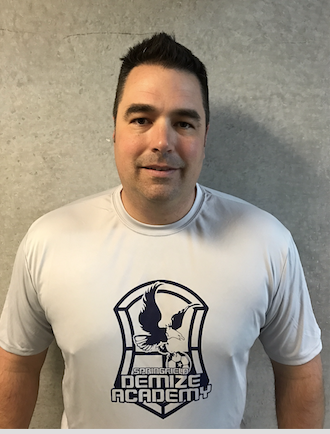 Tim has been coaching with the Springfield Demize Academy since Spring 2014. During this time he has maintained winning seasons and continued to dominate 3v3 tournaments in the region. He fielded 2 teams in the 2014 Republic 3v3 tournament taking 1st and 2nd place in the same division. His team was also champions in the Branson Shootout in 2015 and recently finished second in the local futsal league at LCS this past winter session. In 2014, he took over managing the Demize Academy Little Stars program for ages 3-6, which provides a great learning environment for our younger players to learn soccer basics while having a lot of fun. Currently the Demize Little Stars program has over 35 youth players in the program. Coached youth soccer for ten years. Director and coach for the Bolivar FC youth girls team for 4 seasons. Started coaching in 2016 with the Lady Demize. Married to wife Erin with two children, Claire and Matt. Kierstyn was born and raised in Springfield, MO where she began her soccer career. She started playing soccer when she was 4 years old and decided to join a competitive team in middle school. At Kickapoo High School, she lettered in varsity for 3 years as a forward and outside midfield player. Two of those years she helped her team win the district title and move on to Sectionals. Her senior year she scored the game-winning goal in the conference game against their rival Glendale to break a 4 year winning dry streak against that team. Junior year, she joined the Demize Soccer Academy to play for her last two years in high school as defender. In the Fall, her team traveled for tournaments and college showcases. Her team played futsal in Kansas City in the Winter, and in both years they competed at the National futsal tournament. She is now a senior at Missouri State University majoring in Cell and Molecular Biology. As an alumnus of this club, she decided to give back to the youth club by coaching, starting in the fall of 2014. She has coached the little stars and U8/U9 boys for her first two years. Now she coaches the U8 girl’s team and occasionally helps with high school and little stars teams for league and tournament games. Grew up in the Lebanon and Springfield area, being competitive in baseball and basketball. While living in Springfield played one year of soccer and fell in love with the game. Attended Kickapoo High School where I exceeded in basketball, helping the Chiefs to a 3rd place State Championship. Recruited to play basketball at Hannibal-LaGrange University after graduation, decided to attend Drury College (now Drury University) to study Business Administration and Communications. After my son joined Total Demize (now Springfield Demize Academy) in 2011,we has been a part of the Demize Family ever since. Later that year his daughter joined Demize and he helped with the development of the Lady Demize program. 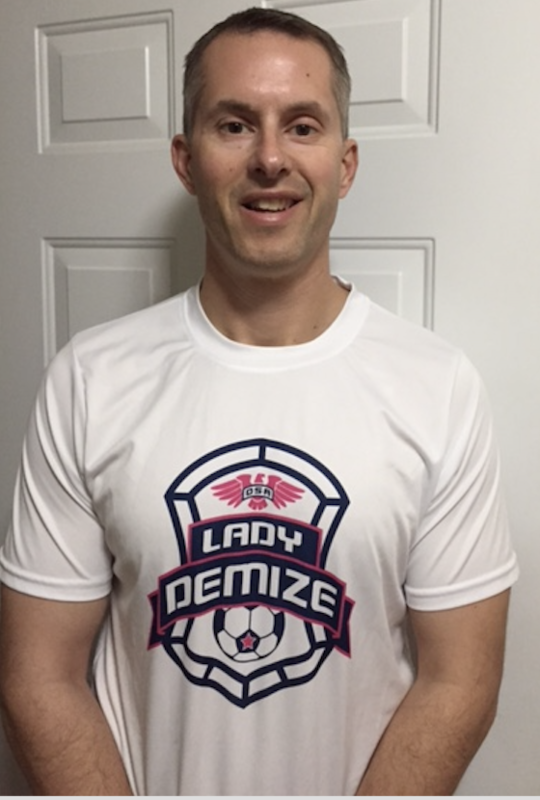 This year Chuck helped as the assistant coach to the Lady Demize U12 girls to a 1st place finish in the Lake Country Tournament as well as a 2nd place finish in the Clorox Cup in Bentonville Arkansas. Chuck’s coaching philosophy is focused on creating an environment to be successful person, by teaching players to be coachable, and to dig deep and leave everything on the field.